The Radio Frequency Identification (RFID) Read/Write Module provides a low-cost solution to read and write passive RFID transponder tags up to 4 inches away. The module works exclusively with the EM Microelectronic-Marin SA EM4x50 1kbit R/W transponder tags. 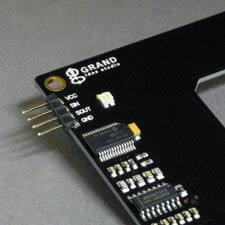 Each tag contains a unique, read-only serial number (one of 232, or 4,294,967,296 possible combinations) and 116 bytes of user data area stored in a non-volatile EEPROM (Electrically Erasable Read Only Memory). The user data area can be optionally secured with a 32-bit password to allow only authorized read and write operations. 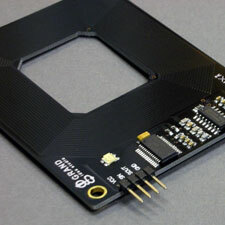 Parallax, Inc. is the exclusive manufacturer of the RFID Read/Write module. It is available in two versions: Serial (2-wire, 9600 baud, TTL-level) or USB. For questions and technical support, contact support@parallax.com.